Jovie is out of Abigail and by Baby Burton. She earned her name when she was born with her adorable elfin ears. Jovie is everybody’s favorite. The babies especially love her as Auntie Jovie and she dotes on them constantly. She is especially protective of her baby sister, Tink. Jovie will be bred this year and I am fully confident that she will be an amazing mother. 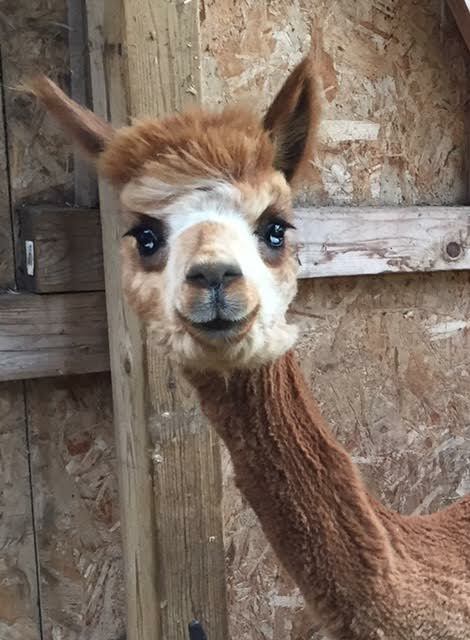 Not only does she have beautiful fiber characteristics to pass on, but she has a delightful temperament as well. Playful, friendly, very curious, and always game to chase Little Black Kitty.